﻿﻿Mission﻿: ﻿To provide veterinary care, and loving retirement homes for racing sled dogs from Iditarod, Yukon Quest, and professional sprint kennels. 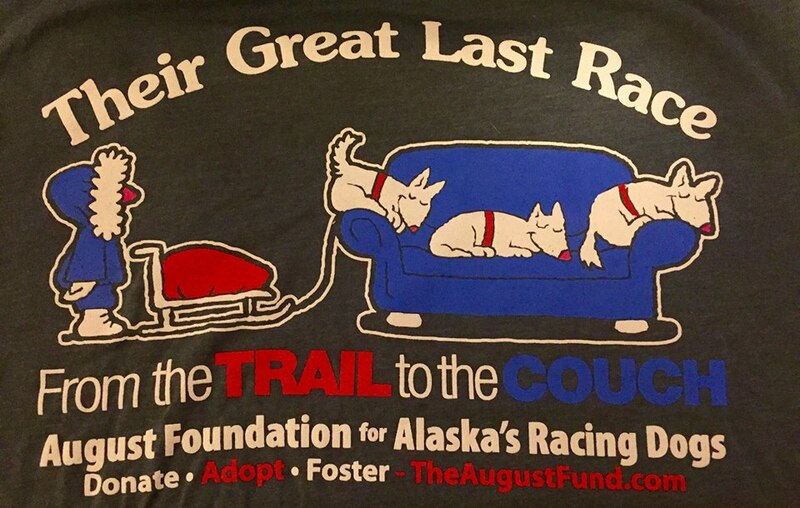 Who: The August Fund--A foundation for Alaska's retiring professional racing sled dogs. 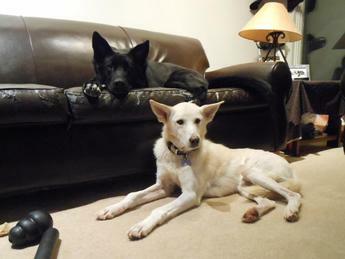 Helping to rehome and/or provide vet care for retirees from Iditarod racing kennels. We are a Non-profit with 501c3 status. So even if you can not adopt, you can donate! What: The Iditarod is known as the last great race on earth. More than 60 teams, comprised of one human driver of the dog sled (musher) and 16 dogs take off annually from Willow Alaska for a 1000 mile trek to Nome. The Iditarod Trail Sled Dog Race is now in it's 45th year. Why: When you multiply 16 dogs by the number of teams entered each year, there will be roughly 1000 Alaskan Huskies on that trail competing to be the first team to Nome. What happens when a dog get too old to race, or has a career-ending injury, or even doesn't make the team? When: Now! Many responsible mushers work with their fans to rehome their dogs whose racing career has ended, while others drop them on already over-burdened local shelters...or worse. ﻿The August Fund for Alaska Racing Dogs provides a link between Iditarod, Yukon Quest and professional sprint mushers and dog lovers across the country to place canine athletes in loving homes after their racing days are done. Fans and others are quite proud to adopt these legends of the trail who are generally healthy, well socialized and highly trained. ﻿Where:﻿ Our foundation works mainly in Alaska with individual mushers, shelters and other rescue organizations to act as a clearing house for Iditarod veteran dogs and to find appropriate homes for them after their racing days are done. We have and will rehome dogs Outside of Alaska. Bill Cotter, Iditarod and Yukon Quest veteran with Tylon. ﻿In other instances, there are mushers who just don't socialize with people as well as they do their dogs , so they have a hard time working with people to adopt their dogs, so they turn them in to shelters in hopes that this is the right thing and a way for their dogs to have a better retirement. As you know most shelters are overwhelmed already, so The August Fund provides a focused outlet for mushers to truly do right and feel good in knowing the dogs that faithfully carried them on the trail will enjoy a well deserved retirement with someone like you. 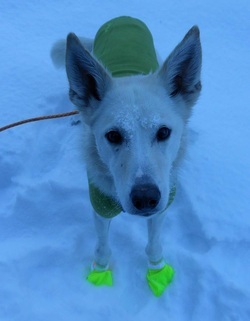 August enjoys the retired life with a shelter rescue named Jack, and his humans in Girdwood, Alaska.